Gurgaon has emerged as a popular commercial and residential hub in Delhi NCR. South City 2 Gurgaon is one of the central locations in Gurgaon, which is near a number of popular schools, commercial complexes, as well as leading hospitals. 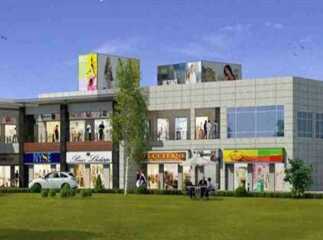 There are a number of commercial property in South City-2 Gurgaon . Unitech Rodeo Drive is an excellent property in South city-2 Gurgaon. Rodeo drive is spread over 2.1 acres of area, and is part of 6 acres of commercial complex. It has wet-point provision in all the shops. The project has commercial shops ranging from 200 sq. ft. to 655 sq. ft. The construction status in South City 2 Gurgaon is going according to the delivery time lines. The project has ready to move in South city 2 Gurgaon. Price of commercial spaces in Unitech Rodeo Drive, starts at just INR 30 lakhs and goes up to INR 1.28 crores.